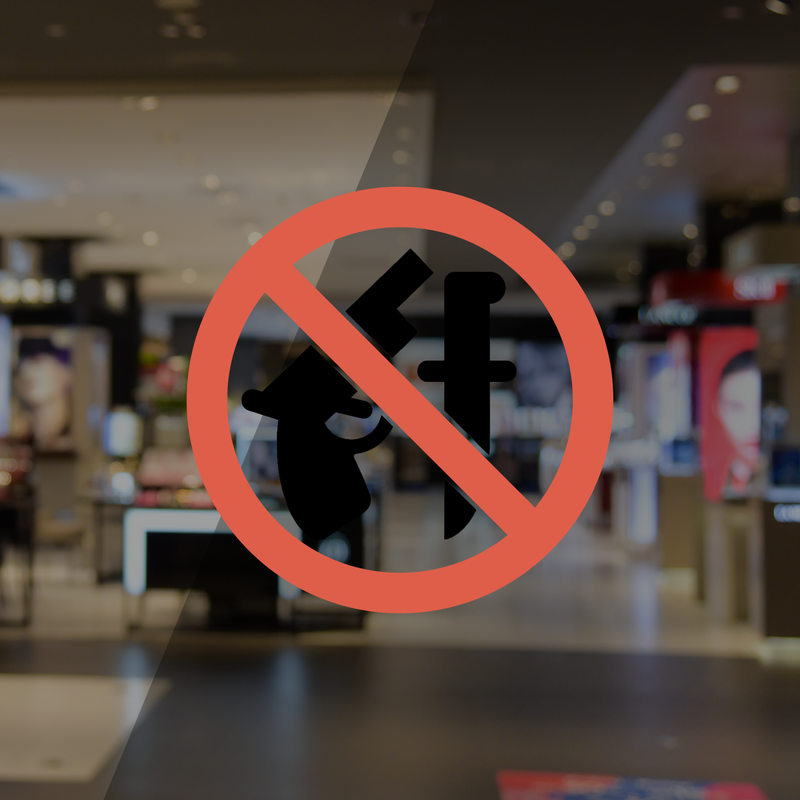 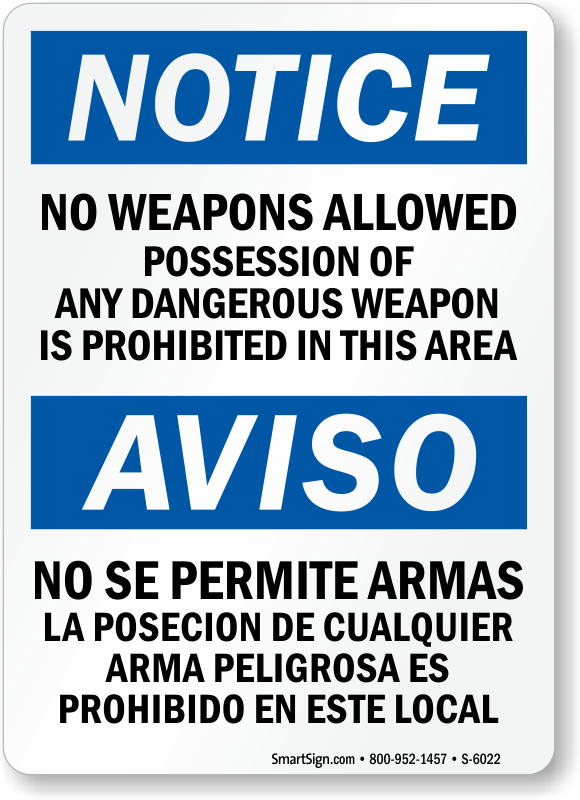 Our No Weapons Decals issue stern visual warnings about one of today's most pressing safety concerns — weapon related incidents. 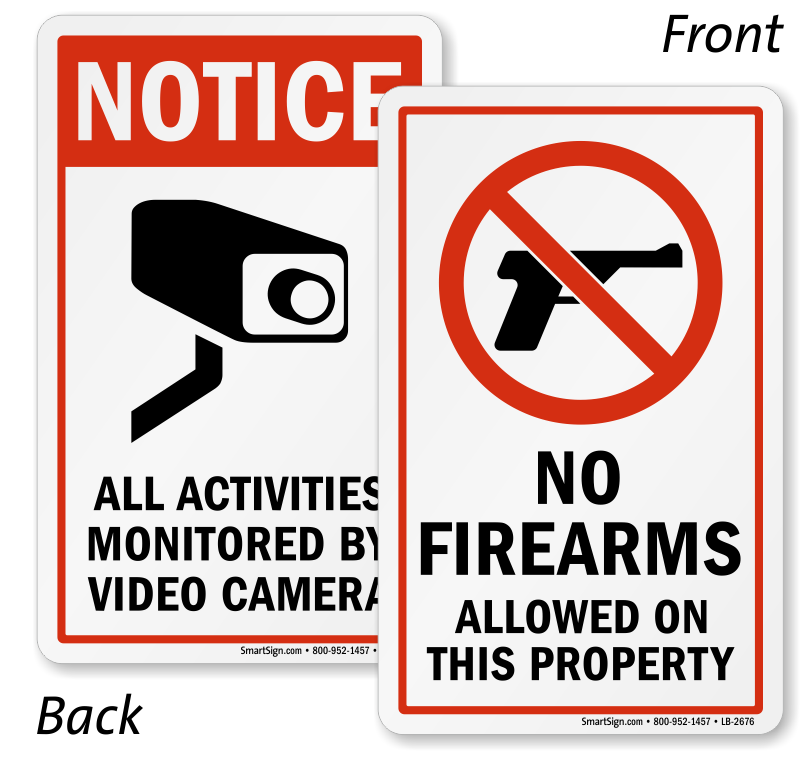 These decals are ideal for a variety of organizational and business environments. 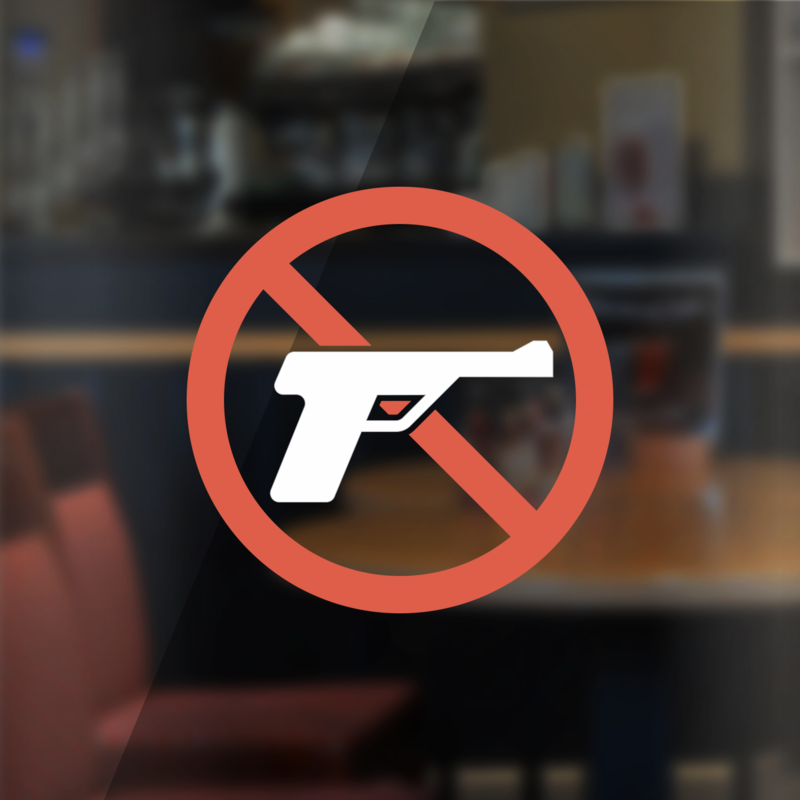 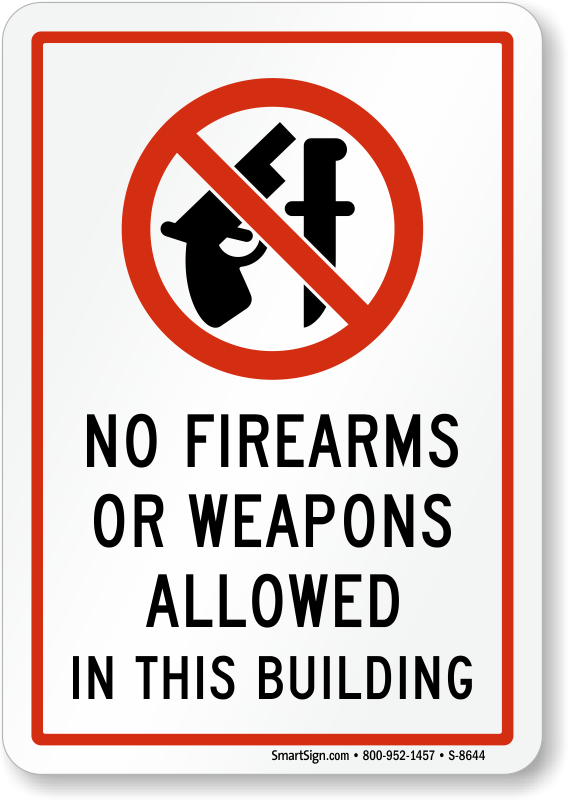 • No Weapons Decals for windows or glass doors are designed to adhere to the inside of the glass and be seen from the outside. 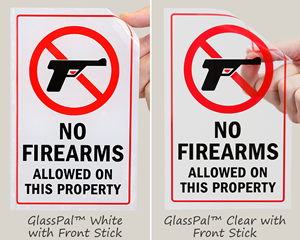 • Decals are wear-resistant and durable and extremely easy to clean.Find both permanent adhesive decals or removable static cling decals. 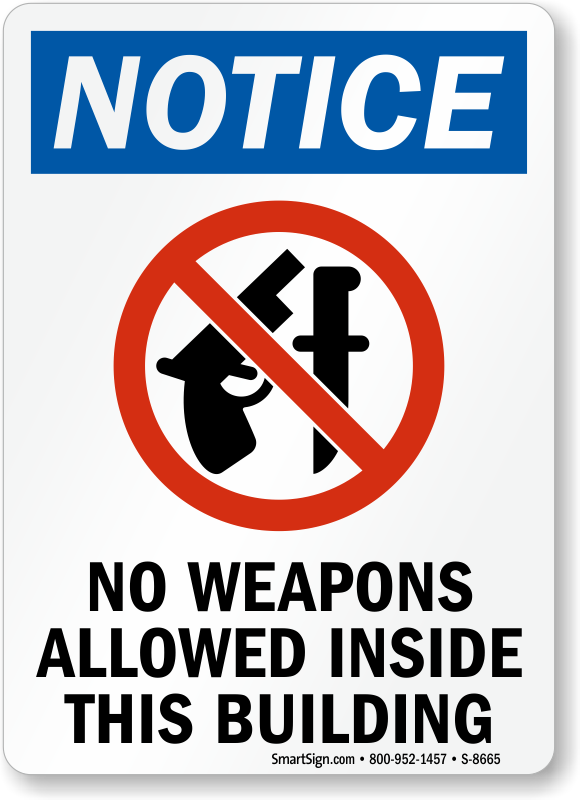 • Decals are also suitable for solid doors. 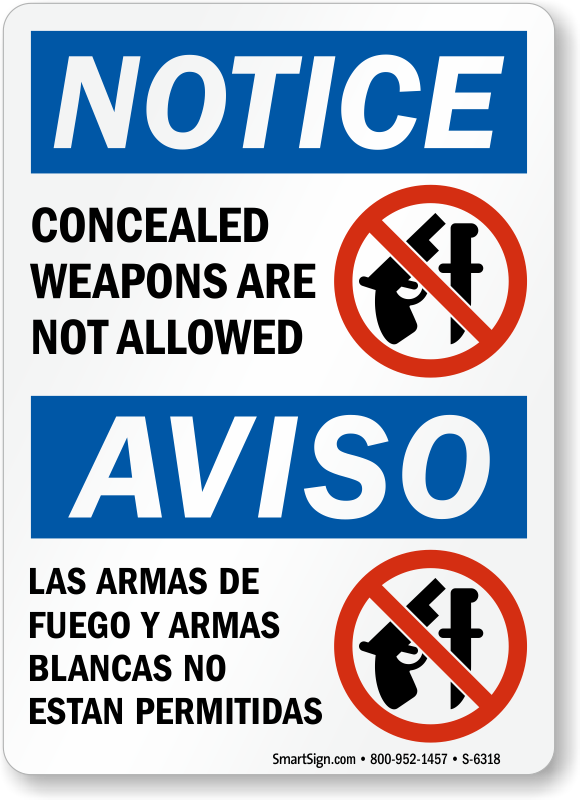 Just peel off the liner and adhere the decals to any flat surface. 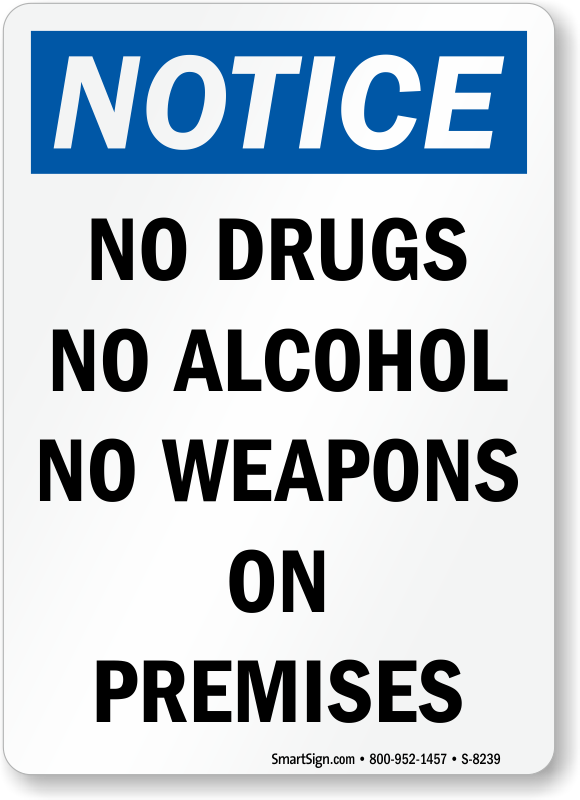 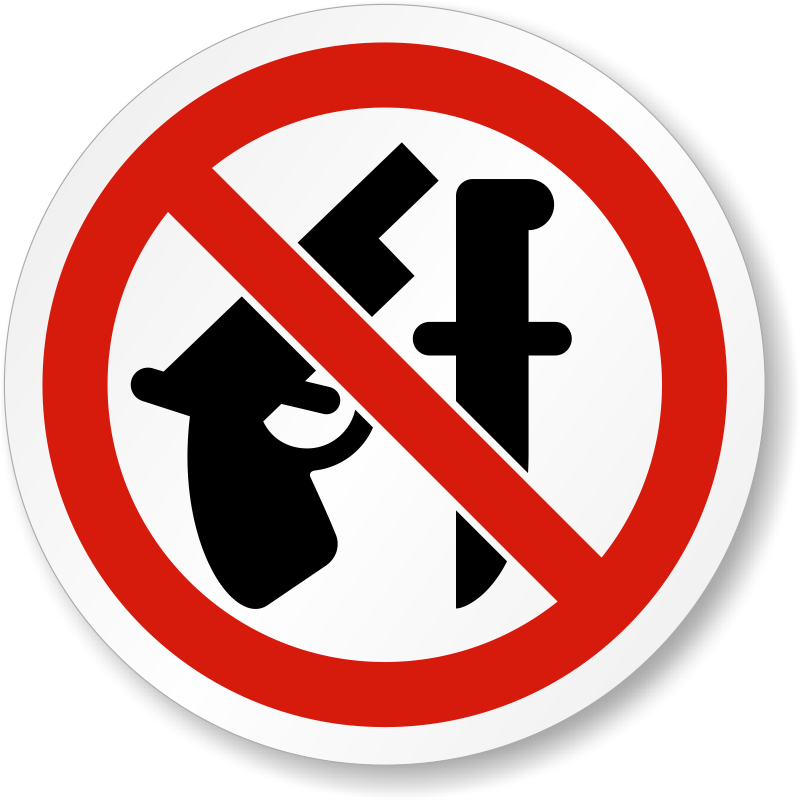 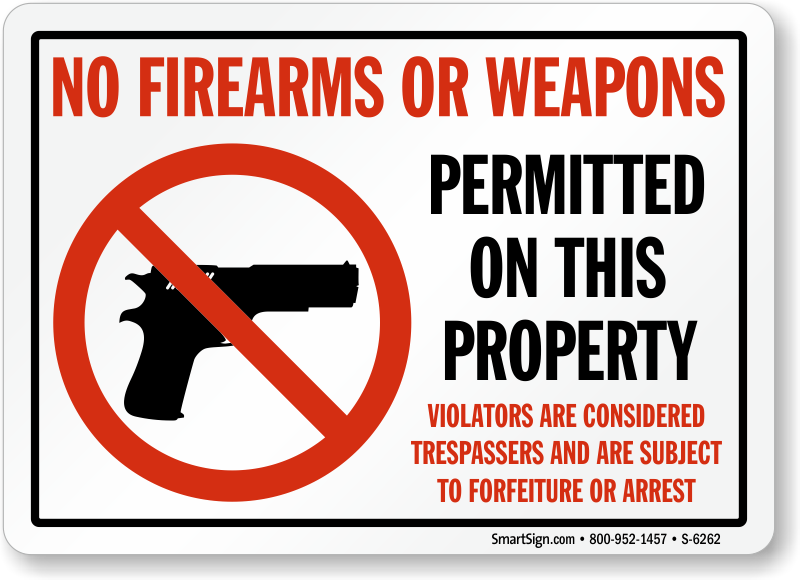 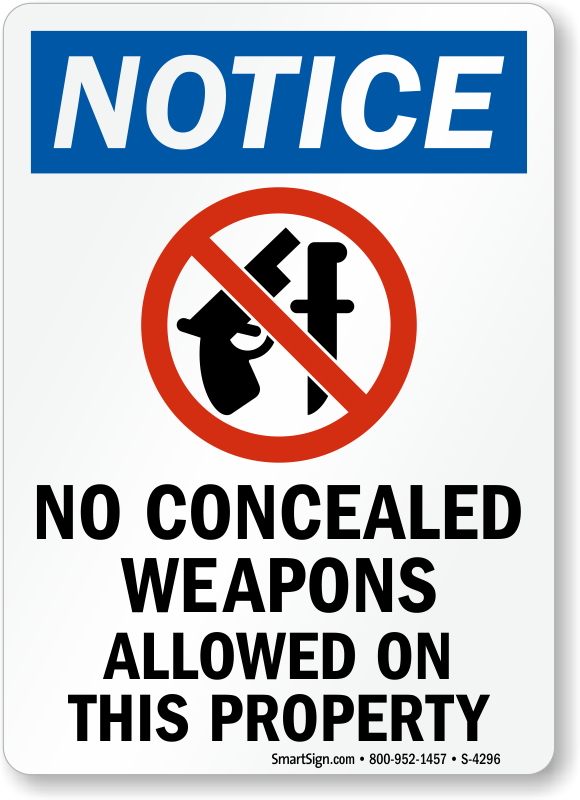 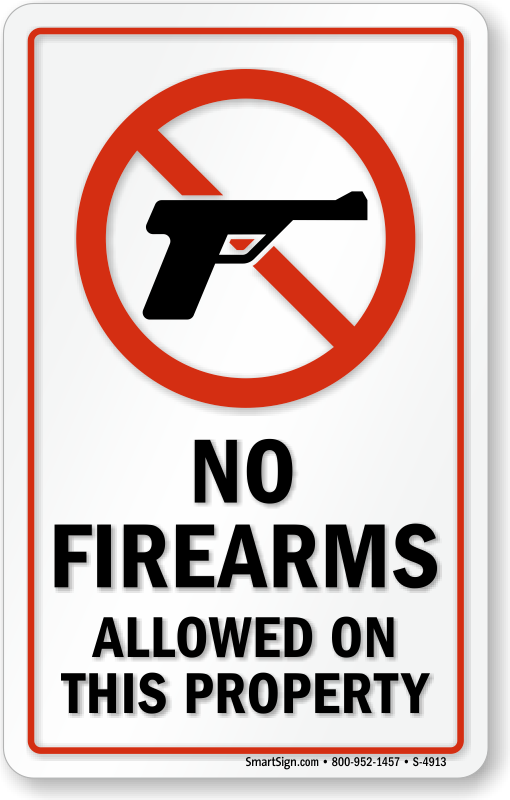 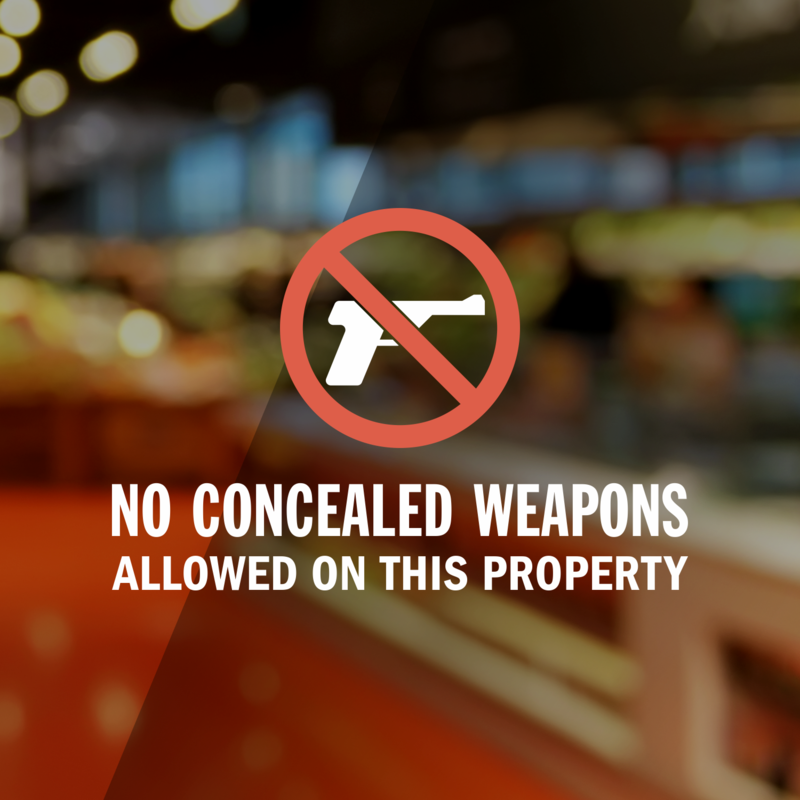 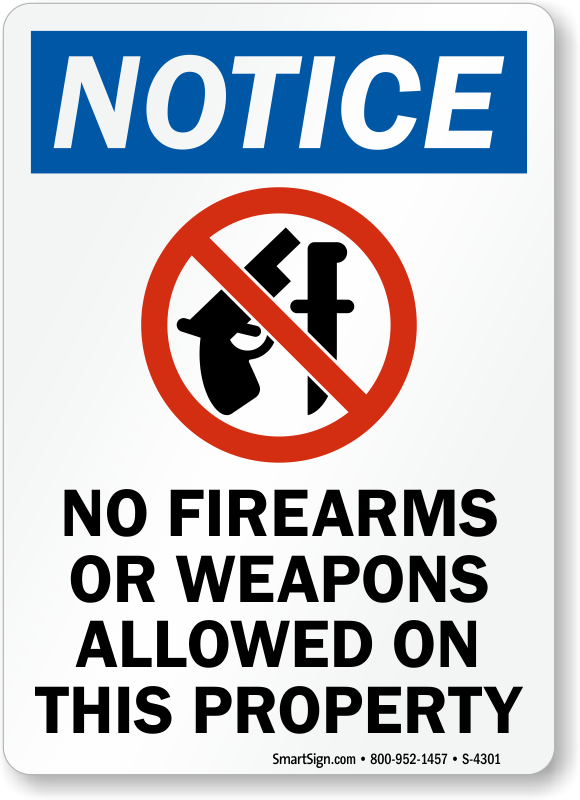 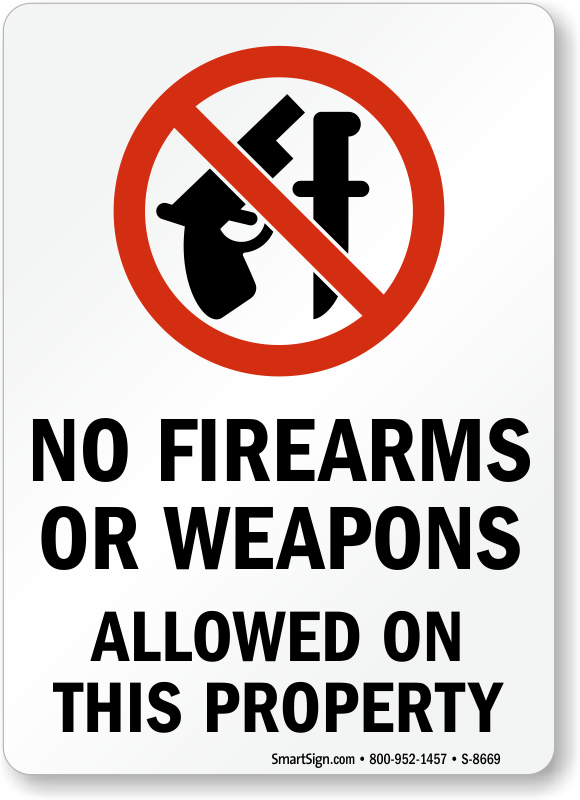 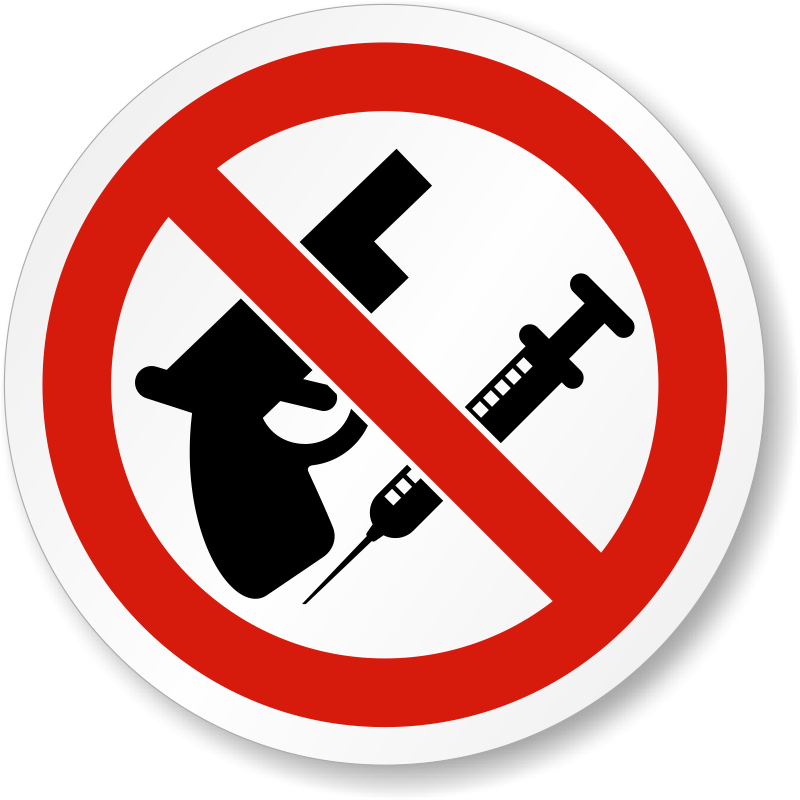 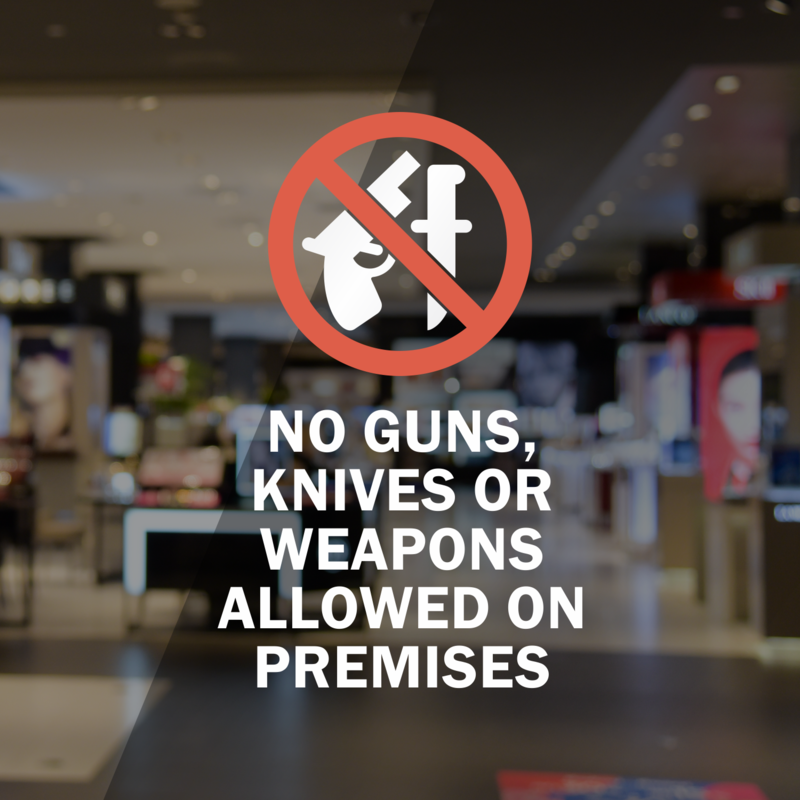 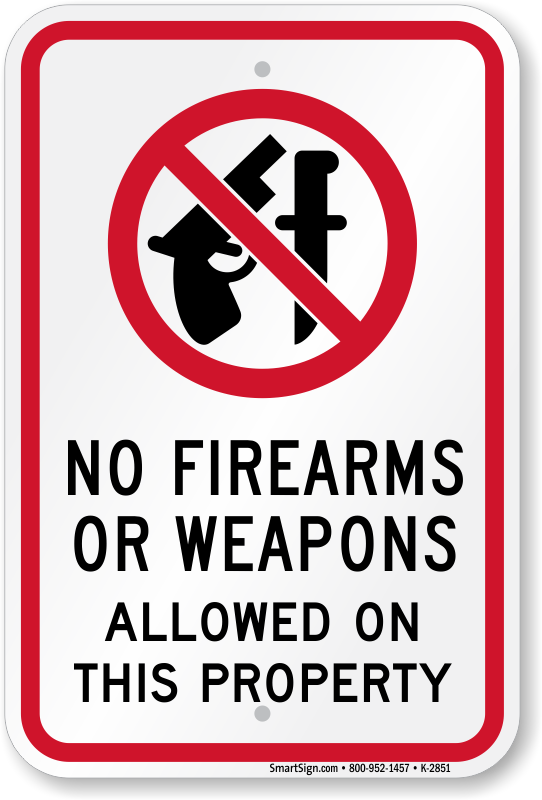 Find a wide range of signs that help keep your organization and property weapon or gun-free.